How to Internet What Is The Difference Between An IP Address And A MAC Address? An IP Address is the computer’s address where the internet traffic is delivered and the MAC address is a unique identifier that each manufacturer assigns to the network card of their connected devices. 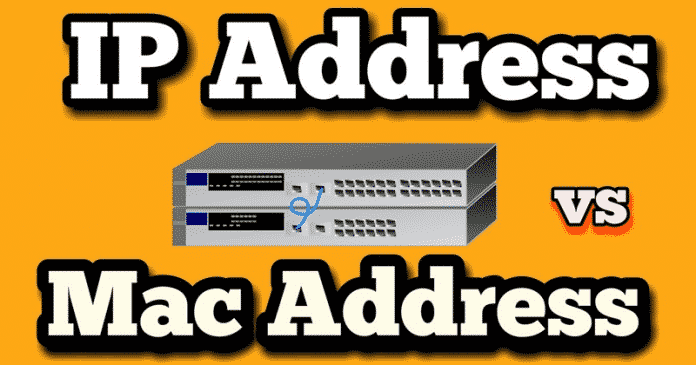 Hence, in this awesome post, we will show you all the difference between an IP address and a MAC address. 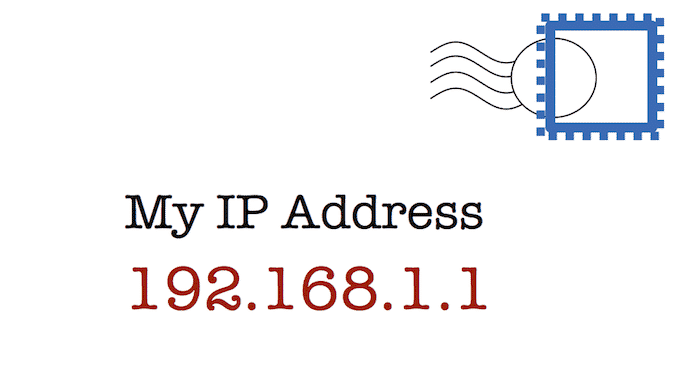 1 What Is The Difference Between An IP Address And A MAC Address? 1.1 What is an IP address? 1.2 What is a Public IP? 1.3 What is a Private IP? 1.4 What is the MAC address? IP and MAC addresses are the addresses that uniquely define a device and a connection in a network. 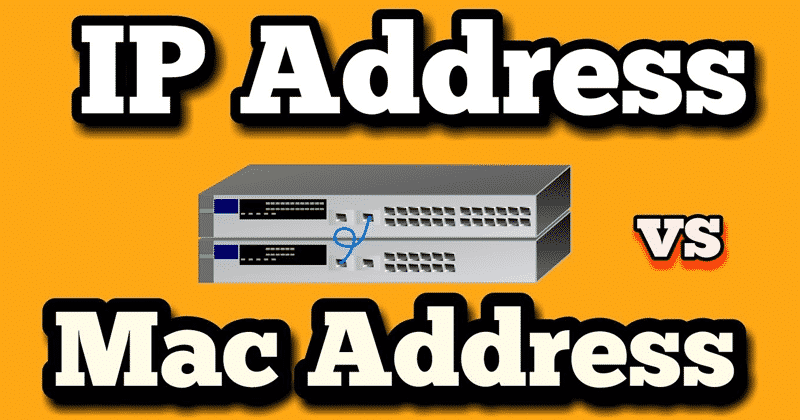 A MAC address is basically a number which is assigned to the NIC card by the manufacturer, while now if we talk about the IP address then let me tell you all in basic words that it is a number which is assigned to the connection in a network. The basic difference between the IP address and the MAC address is that a MAC address uniquely identifies a device that wants to participate in a network. While on the other hand, an IP address uniquely defines the connection of a network with the interface of a device. However, now without wasting much time let’s know about them, in brief, and explore the differences between them. So, that we can know how they are different from each other and how they actually work. IP means “Internet Protocol”, it is treated as the name of a communication protocol through the network and the IP address, which is the number you choose or is assigned within the network, and not only that even it is the Internet’s way of knowing who is who. They are therefore a kind of “registration” to identify you when you are connected to the internet. However, there are two types of IP addresses, Public IPs and Private IPs, and each of them has a totally different purpose. What is a Public IP? A Public IP is an address which is assigned by your ISP, companies that give access to the Internet such as Jio, Airtel, Vodafone, etc., and it serves to identify you on the Internet when you connect. Although there are also fixed, but, it is common that these IPs tend to be dynamic and frequently changes without noticing you. Nobody can surf the net without an IP, and no web page can be online without an associated IP. In fact, when you write an address like ‘www.techviral.net’, what the browser does is alter that text to an IP address in order to connect to the Techviral page and access its content. Therefore, these public IP addresses are like the license plate assigned to you when you connect to the internet. It is a way to identify yourself as a user in the huge expanse of the network since no IP can be repeated. What is a Private IP? While now if we talk about Private IPs, then let me clarify that Private IPs are those used in private networks like the one you create in your house by connecting several devices through your WiFi. When you do it, each device like your printer, your router or your smartphone has its own IP, and so there are no conflicts they will each have a different IP. Class A is for larger networks, like international companies; Class B private IPs are for medium-sized networks, such as university networks, and Class C private IP addresses are typically used for smaller and domestic network, like home routers. 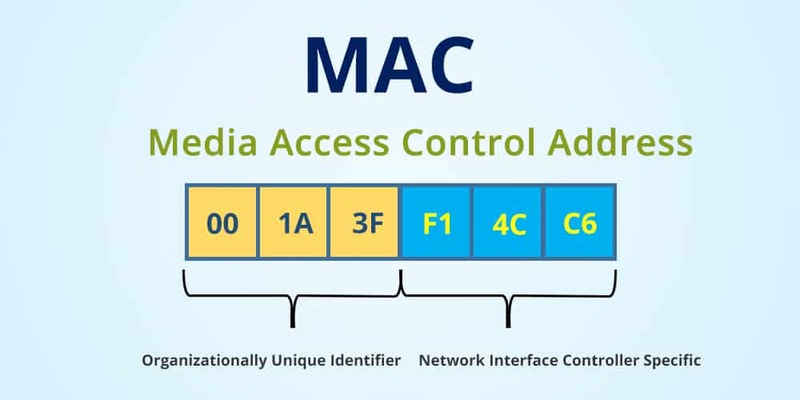 The MAC address is a unique identifier that each manufacturer assigns to the network card of their connected devices, from a computer or mobile to routers, printers or other devices. As there are devices with different network cards, such as one for WiFi and another for Ethernet, some may have different MAC addresses depending on where they are connected. The MAC addresses are formed by 48 bits represented generally by hexadecimal digits. Since each hexadecimal equals four binaries (48:4= 12), the address ends up being formed by 12 digits grouped into six pairs separated by two points, here’s an example of MAC address “67:8e:f9:5j:36:9t. Another important and interesting thing you have to keep in mind is that there are specialized search engines to know the manufacturer of a device depending on the first six digits of its MAC. As they are unique identifiers, MACs can be used by a network administrator to allow or deny access of certain devices to a network. In theory, they are fixed for each device, although there are ways to change them in case if you want to make them more recognizable in your network or avoid blockages. This exclusivity of each MAC towards a single device also requires that you take special care. Like when you connect or try to connect to a router, your mobile or computer will automatically send your MAC. It is one of the reasons why you have to always know where you connect to the Internet and to whom this network belongs. This is how they are different from each other, of course, I am talking about IP Address and MAC address. So, what do you think about this? Simply share all your views and thoughts in the comment section below. And if you liked this post then do not forget to share this post with your friends and family.